JURNAL LENTERA : Kajian Keagamaan, Keilmuan dan Teknologi, is an online journal (ISSN 2540-7767-Online) and (ISSN 1693-6922 - Print) jointly published by STAI Miftahul Ula Nganjuk. The mission of JURNAL LENTERA is to encourage scholarly research in religious, scientific and technological studies. The Journal provides a unique peer-reviewed forum to postgraduate students, scholars, professors, and researchers in various topics within the scope. The Journal welcomes research papers as well as review articles and conference reports. 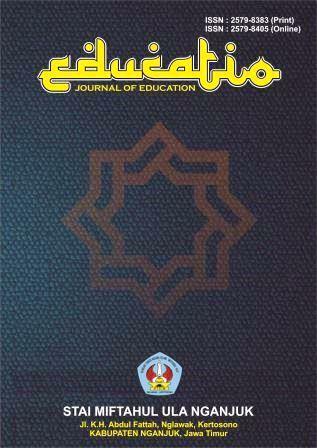 JURNAL LENTERA will be published in March and September annually. JURNAL LENTERA will publish empirical and theoretical papers (e.g. a critical review of research). The Journal has an international advisory board. The international perspective is also reflected by the journal’s trilingual approach: IJIT welcomes papers in English, Arabic and Indonesia.